The entire history of this epic race, which has been held since 1923, is recounted in an ultra-luxurious Opus Collection book: the last word in lavish illustration. It contains some extremely high-quality unseen and unpublished illustrations of all 85 winning cars at Le Mans, from the very beginning. 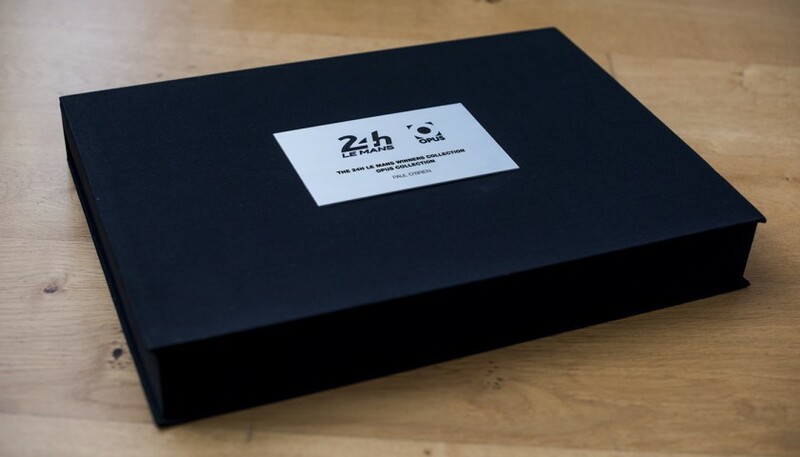 This unique collection of all the winning cars at Le Mans are individually presented as the highest quality art prints, which can be mounted and framed or kept in the luxurious handmade box set. Only 100 of the box sets have been created worldwide, making them truly exclusive. Now, one rarely-available example has been offered for auction via CharityStars.com: the UK’s leading charity auction website, where proceeds from auction items are donated to charitable causes. However, the auction lot on offer doesn't only end there. The winner also gets to have the Opus Collection book presented to them by Derek Bell, who will make himself available for a private Q&A session with the winning bidder and a guest, as the book is handed over. As well as his five Le Mans victories, Bell won the Daytona 24 Hours three times and the World Sportscar Championship twice, making him a true legend in the world of motorsport, with plenty to say. Proceeds raised by this incredible souvenir of the world’s most famous race will go to UK Youth: this country’s leading national charity, which provides opportunities for personal and professional development of young people. With a history spanning over a century and a network reaching over 830,500 young people, UK Youth is the largest national body for the youth sector. UK Youth is in a unique position to connect young people to policymakers and influencers at a national level, ensuring they have a seat at the table on matters as diverse as Brexit, mental and physical health, training and employment, housing and immigration, and the environment. CharityStars.com commits to no upfront fees, re-investing only 20 percent of the total auction proceeds to cover the full suite of services and operational costs. Excluding this fee, 100 percent of the net funds raised, go directly to the benefitting non-profit.